AMD is getting ready to launch four Radeon Navi 7nm GPU variants later this year. 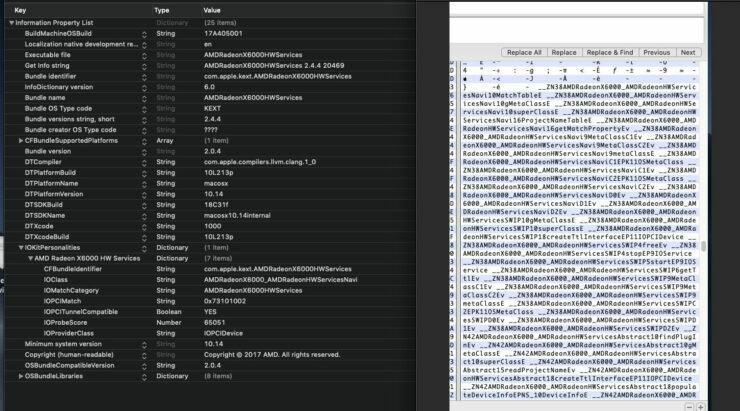 We know this thanks to a MacOS Mojave update, which includes specific references to four distinct Navi GPU variants in its codebase. This means that this leak is as legit as it gets, and with that let’s get into the juicy bits! 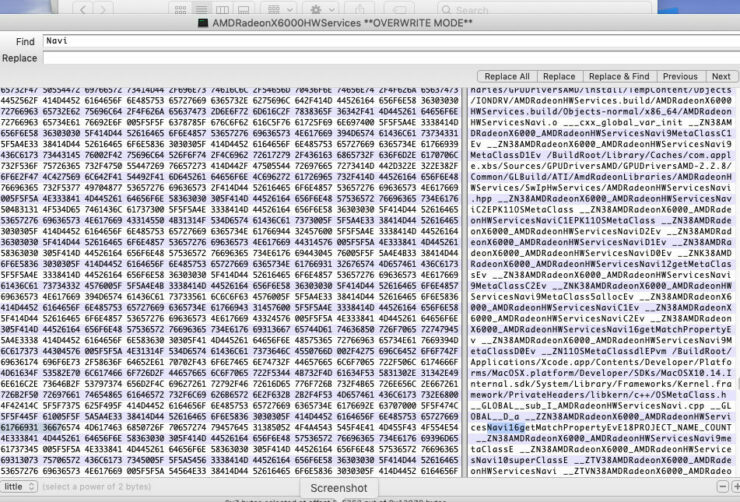 The code for the update in question was spotted by Gigamaxx on the TonyMacx86 forum which videocardz picked up on. The source code includes four Navi graphics processors, the Navi 16, Navi 12, Navi 10 and Navi 9. It’s not entirely clear if each of these is a distinct GPU die, or rather a variant of the same chip. Although, we have already seen references to Navi 10 and Navi 12 being two distinct GPUs on previous occasions. This is where the company’s code names can become very confusing. According to the latest chatter AMD is still eyeing summer 2019 for a Navi launch, specifically in July. This is in fact very much consistent with what we’ve been hearing over the past four months. It’s not yet obvious how the company’s upcoming Radeon VII GPU based on 7nm Vega is going to fit into all of this, with Navi being so close. Especially considering that earlier whispers put the performance of the fastest Navi variant — RX 3080 — at Vega 64 +15%, which is just 10% shy of AMD’s $700 Radeon VII. The same rumor/leak by AdoredTV also claims a ~$250 price tag for that same 3080 card. 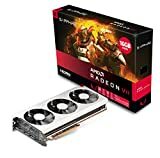 Which if true would dramatically undercut AMD’s own Radeon VII. This means one or a combination of three things. 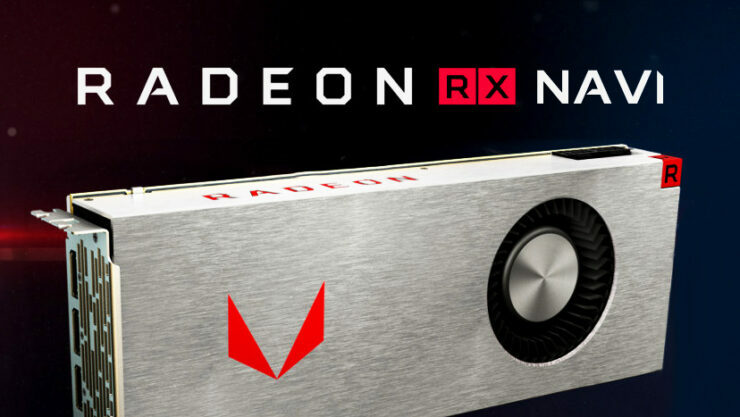 Either Navi isn’t really as fast as rumored, it isn’t going to be as cheap or AMD is planning a hefty price cut for the Radeon VII sometime in the middle of the year. Regardless, what this leak indicates is that Navi is actually quite close to market, and Radeon VII will not be the only new 7nm GPU we see from AMD this year.